A Tennessee woman filed a lawsuit against Nashville-based Vanderbilt University Medical Center March 19, claiming surgeons operated on her wrong kidney, reports The Tennessean. Carla Miller sought care at the hospital in November 2017. The suit claims surgeons implanted a 22-centimeter stent in her right kidney instead of the left and ran it up the wrong side of her body. Ms. Miller's attorney, Afsoon Hagh, said the medical error damaged her urinary system and now requires her to receive dialysis for life. 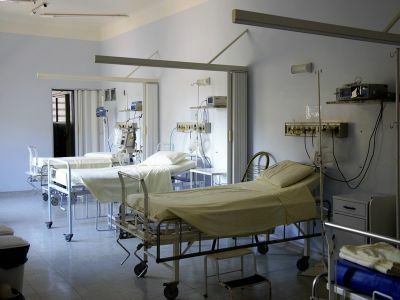 "For a wrong-site surgery to occur, there has to be a significant series of breakdowns and errors by multiple healthcare providers," Ms. Hagh said in a statement to The Tennessean. "The fact that such a chain of missteps occurred here is very concerning." The lawsuit is seeking $25.5 million in compensatory and punitive damages. A Vanderbilt spokesperson told Becker's the hospital does not comment on pending litigation. Ms. Miller's lawsuit comes nearly two months after a Vanderbilt nurse was indicted on a reckless homicide charge over a fatal medication error made in December 2017.